If you are looking for a simple yet effective protection element, this is one good wood that you may consider. It is called the King of Wood or in the local language Raja Kayu. It has been known for decades as one wood which can dispel bad energies. Ms Wong’s husband had a stroke of bad luck and after wearing the Raja Kayu with his lucky element, his bad luck slowly subside. The problem at last came to a manageable portion which they slowly work to solve it. She felt that it also gave him positive outlook. A lady whom had frequent job changes, after carrying the Kayu Raja with her lucky element on it, she had managed to stay in the current job for more than a year now. Deep into the forest, it is almost invisible to sunlight all day long which provide the best environment for evil spirits to gather. Raja Kayu (King of wood) emits powerful Charms and Amulets which gives protection to the Malaysian indigenous people all the way since very long time ago. It is also widely belief through out the years it can counter black magic because it draws in positive energies. If you often go to jungle, this is a piece of wood you must have so that you will now lose your way out. Ancient Malay warriors uses Raja Kayu as the handle of their sword because they believe it can increase their bravery and confidence level. Malaysia Raja Kayu (血龍木王/帝王木/樹王/神木) /King of Wood Raja Kayu or Kayu Raja (King of wood) is the Supreme King in the forest among all different species of trees, and therefore is commonly called King of Wood, or Saint Wood. 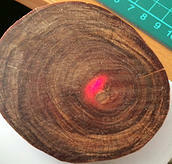 Raja Kayu will emit red light radiation when shine under torch light. Not even science could explain how it happen. Raja Kayu has excellent mechanical properties, high compression strength, density, and even hitting a nail in it is quite a difficult task. Anti-moth-bite, corrosion-resistant, oily, almost never crack nor deform, therefore is a fine material for wood carving. Due to those special properties of Raya Kayu and the kings of the ancient region of Southeast Asia chosen this wood as the Royal appointed timber. Monks in India, Malaysia, Thailand and many other enlightenment use it to make prayer beads. Apart from this, Raja Kayu sinks, it usually does not float. The younger ones may float. Different people will have a different lucky element / useful god thus a destiny analysis by a competent master is required to determine the lucky element. This lucky element when inscribed on the Kayu raja can help to improve one’s luck. The mechanics of it is a little difficult to explain but so long that they can help client’s to improve to their luck is good. Coupled with the benefits of Raja Kayu, this can help improve a person’s luck gradually. Dust “Raja Kayu” with a clean cloth and soft cloth. “Raja Kayu” can be cleaned with a damp cloth but then dry it immediately. It may fade or swell if you soak your “Raja Kayu” in water or exposure to sweat. To make your “Raja Kayu” retain its look and finish. It is advisable that the “Raja Kayu” should be put in a cool, dark and dry place but not expose under the sun and high temperature. Polish your “Raja Kayu” from time to time. “Raja Kayu” lose its luster and become dull. With polish, its luster can last for a long time. The tea oil, jojoba oil, grape seed oil and olive oil can be applied in cleaning that can recover the original appearance of the “Raja Kayu”. These kinds of oil can not only keep the “Raja Kayu” shinny again, but also protect the “Raja Kayu” from the humidity changes in the environment. You can soak the wood in the oil for about one hour as and when needed. I personally prefer Virgin Olive oil. Our Raja Kayu comes in various diameter depending on the supply. Each piece is 10mm thick and is inscribed with your useful god. Useful God is a term used to represent the most important element in your destiny to help bring about better luck or improve one’s destiny. Inscribing your useful god onto the Raja Kayu is to help activate better luck. Although the effect may not be a miracle, still it protects you and absorb bad energies. Why Engrave Your Useful God? Useful God is the element that makes our Destiny smoother and better. Thus engraving your useful god is to help one remember our useful god so that our daily endeavor are tuned to our useful god. In this way we can improve upon our destiny. Read about your Useful God here.